NEW DELHI: The Supreme Court on Wednesday allowed resumption of nursery admissions in Delhi which were stalled over scrapping of inter-state transfer quota seats. The apex court quashed the February 27 notification issued by the Delhi lieutenant governor to scrap the inter-state transfer quota and granted admission to successful transfer quota candidates whose parents had approached court. The apex court said wards of those who had approached the court challenging scrapping of the inter-state transfer quota would be given a seat even if a particular school had filled all seats and asked the Delhi government to raise number of seats, if required, to accommodate 24 students whose parents had approached the court. 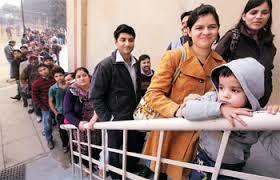 With the Supreme Court’s ruling, the five-monthlong impasse on nursery admissions in Delhi finally came to an end. The SC had on April 11 put nursery admissions on hold again in Delhi schools after it put a stay on Delhi HC’s April 3 interim order directing that those children who were selected in draw of lot for neighbourhood and other categories, be admitted. Click to read whole judgement below the link. enable them to detect repeat offenders and to bring them to justice. of Children) Act, 2000, be declared unconstitutional. support of their individual cases. Justice (Care and Protection of Children) Act, 2000.
years in the Indian Penal Code. Referring to Section 82 of the Code, Mr.
States of America, Great Britain and Canada. circumstances, a youth may be awarded an adult sentence. of Sections 82 and 83 of Indian Penal Code. punishment therefor would not exceed three years. Act, 2000, more effective and prevent the misuse thereof. the manner in which the Juvenile Justice Delivery System had evolved. to eighteen, for the purposes of employment in hazardous industries. Dr.
result in, physical, sexual or psychological harm or suffering to women. vires Article 21 of the Constitution. Section 15, which is three years. final disposal of the case. Sections 15 and 19 of the above Act ultra vires the Constitution. have placed all children in conflict with law within the same bracket, Mr.
par with that of adults. propensity to repeatedly commit offences of a grievous or heinous nature. a child, in accordance with the Beijing Rules, 1985, and the U.N.
provisions of the Constitution of India. that paragraph 4 of the 1989 Convention did not make any reference to age. and in conformity with international standards as laid down in the U.N.
a child in the aforesaid Act, criminality amongst children would reduce. care and protection and providing such protection to children at risk. Mr.
people of laws, policies, plans and programmes affecting children. Mr.
for the Union of India to adopt a different approach in the matter. Mr.
rehabilitative approach mainly for juveniles in conflict with law. Government of India, in which the submissions made by the ASG, Mr.
counselling, psychiatric evaluation and treatment would be undertaken. children both in conflict with law and in need of care and protection. Mr.
came to replace the Juvenile Justice Act, 1986. Taking a leaf out of Mr.
Children from Sexual Offences Act, 2012.
the Rights of the Child, as was brought to our notice during the hearing. Parliament to raise the age of male juveniles/children to eighteen years. adults, but not so by juveniles, as the materials produced before us show. he had committed a heinous crime, when he ceased to be a juvenile. the period of one year when he attained majority. mainstream society, instead of becoming hardened criminals in future. would possibly yield better results.